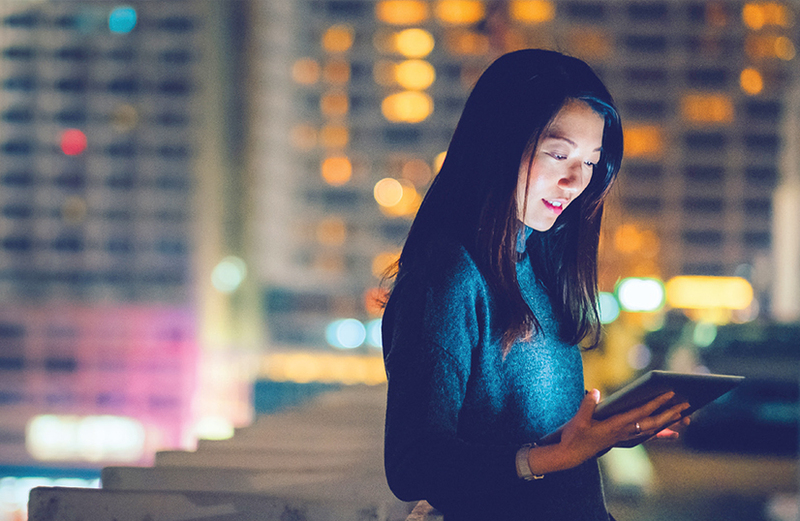 A global bank with a unique offering in the Australian financial services landscape, we’ve assisted Citigroup in defining their point of difference across strategic products and portfolios. 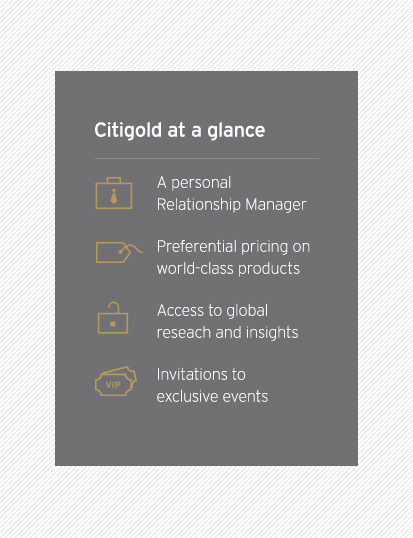 Citigold provides dedicated wealth management services to Citibank’s high net worth clients. 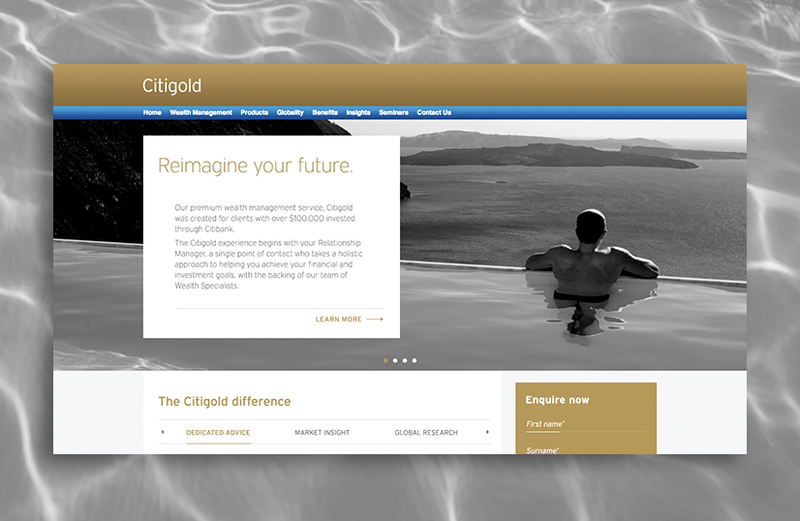 We developed strategic integrated campaigns, including copywriting, image sourcing and digital production to introduce Citigold to the Australian market. 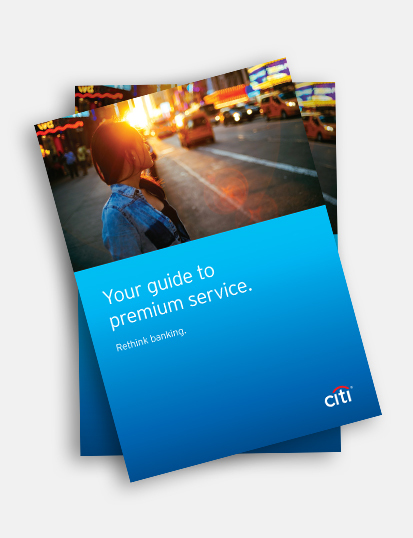 We developed a suite of product brochures, introducing Citigroup's extensive range of financial services; from priority banking to home loans, to insurance. 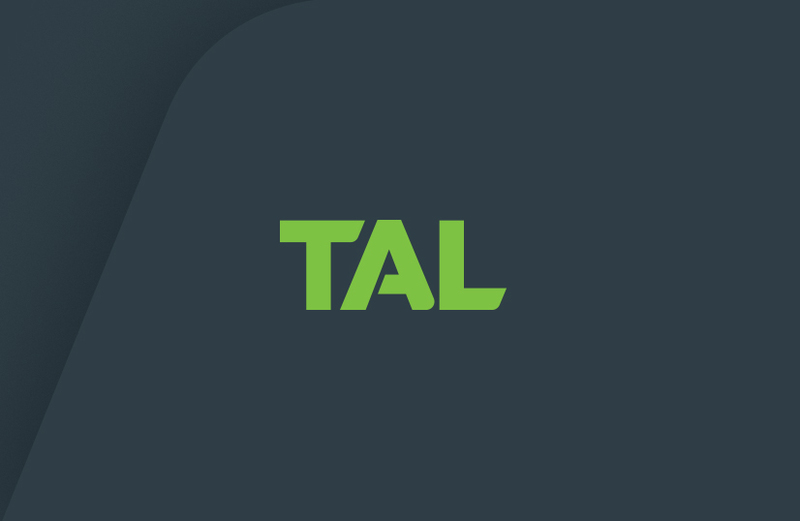 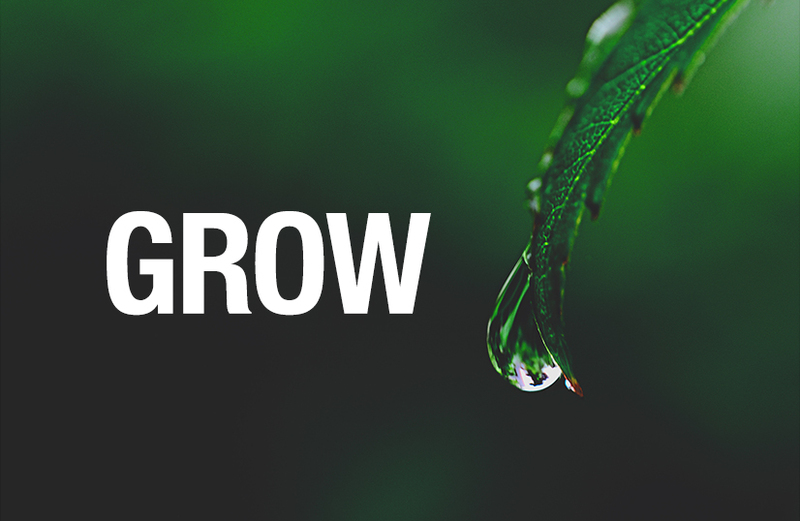 Working in close collaboration with marketing teams across numerous portfolios, we’ve developed consumer acquisition and retention campaigns, product collateral, digital marketing, loyalty offers and promotions. 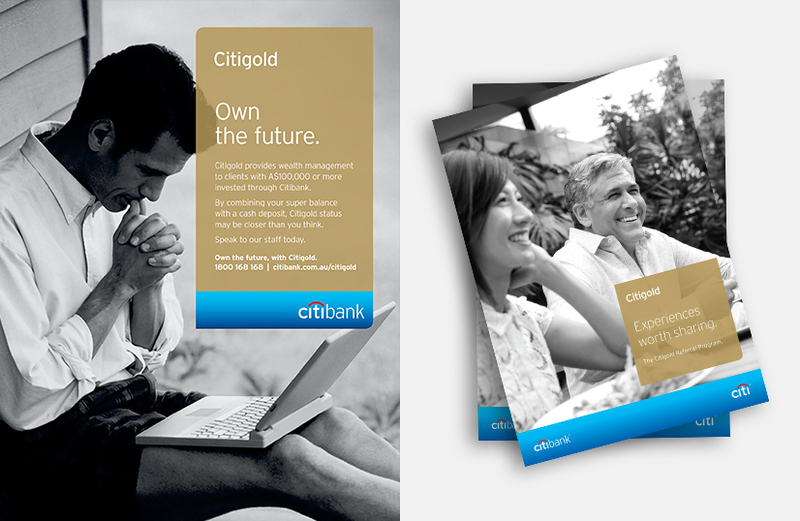 We transformed Citibank Rewards, launched the Citibank Dining Program and evolved the Citigold brand in Australia. 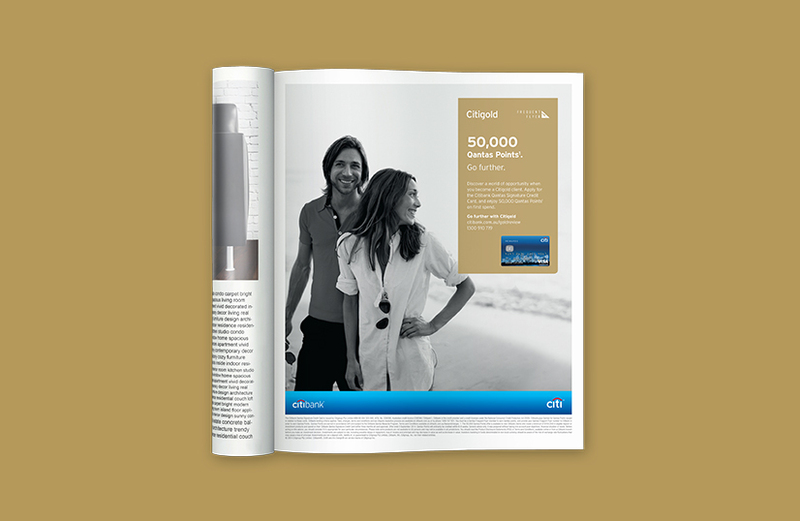 We worked with Citibank through several iterations of their global brand guidelines, evolving the look-and-feel and tone of voice of campaigns to ensure local relevance and engagement.